24-D Federal Drive, Jackson, TN. Tickets are $40 for couples and $20 for singles. 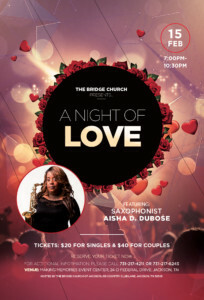 Come enjoy a night of music, dinner, and dancing.